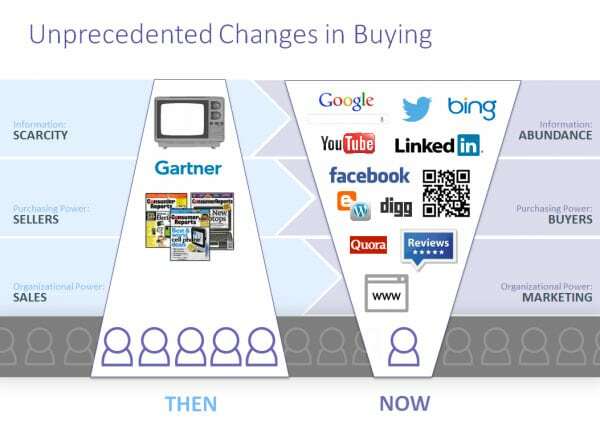 While traditional marketing involved blasting mass media with advertising, current state of the art lead generation includes using both own and 3rd party channels in a highly targeted manner. The good old world of traditional marketing. Requires going to conferences, making cold calls, speaking in public to get the word out and reach out to potential leads. For most modern businesses, this can only represents a small share of their leads. While it makes sense to go to the largest conferences in your niche, there are diminishing returns from such activities. 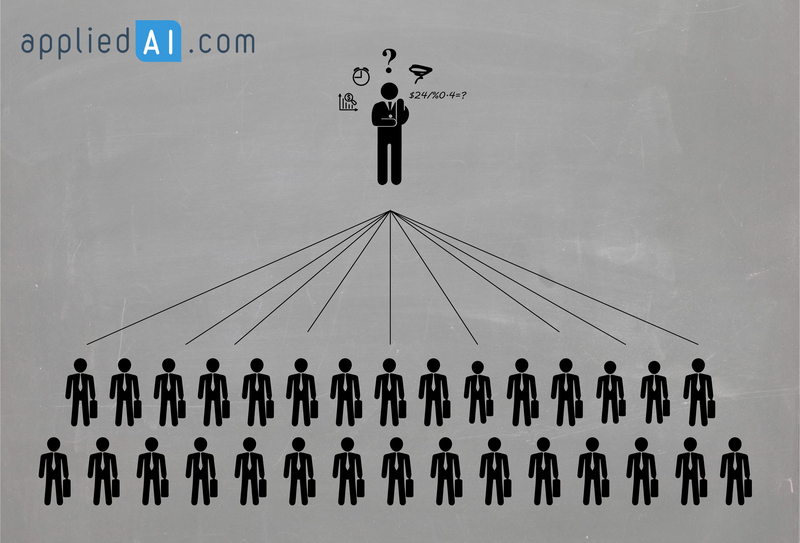 Top 2-3 trade generally cover more than 80% of your target customers that attend such events thanks to Pareto rule. Use your own digital assets such as website and social channels to get customers to contact you or acquire your services. 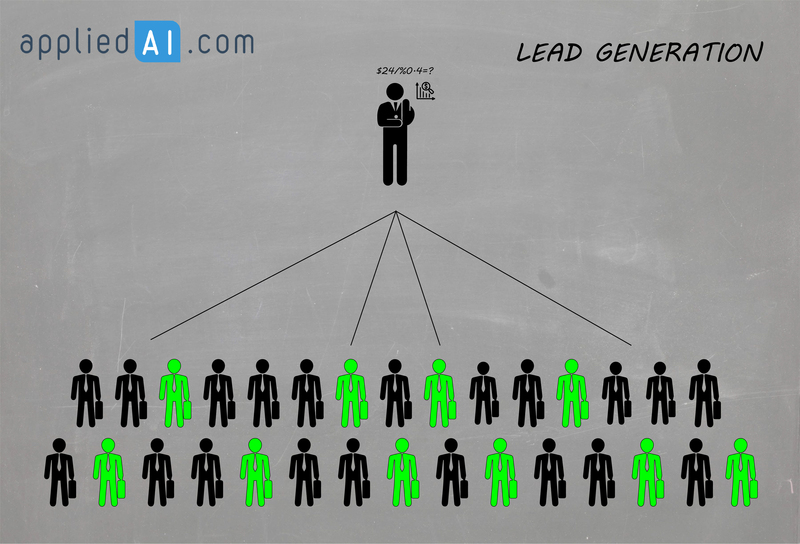 This is the best long term approach to lead generation however it takes time to build organic traffic unless your business is viral or is a social media darling. Unfortunately most products are just not viral and are not attrative in social media. Though Elon Musk has been able to make his boring company a social media phenomenon, most entrepreneurs do not have the clout or marketing whiz to pull of such a feat. Use paid advertising to funnel potential customers to your website where they can choose to contact you. You can use search engines, social media and other websites and apps to promote your message. This is the fastest approach to achieve sales however it is also the most expensive approach. You will be paying up to a few dollars per visitor and only a few percentages will ask to be contacted or make a purchase. Use social media and other 3rd party data sources to identify leads that could be interested in your product and reach out to them via highly personalized ads, messages, emails or calls. Potentially the most successful approach for an upcoming company with a product that’s significantly stronger than its competitors. With this approach, there’s no channel to build, no expensive ads to buy and no slow real-life interactions. You can get going immediately as long as you can define your customer in detail and pay for the data. For the rest of the article, we will focus on vendors that can help you with digital outreach. Who are leading vendors in this field? Dun & Bradstreet, with 5578 employees and approximately 1.6 billion annual revenue, is the leading company in the lead generation software market. Dun& bradstreets Hoovers uses sophisticated analytics to deliver a sales acceleration solution packed with insight using Dun & Bradstreet’s powerful D-U-N-S® Numbering System that world’s largest commercial database. Integration with CRM systems, eliminates manual tasks and give best predictions for the leads with its real-time business intelligence. Same as dun & bradstreet, DiscoverOrg also uses its own data including detail about individuals job responsibilities, direct reports and direct information generated by its own team including 250+ researchers, updated in every 60 days. 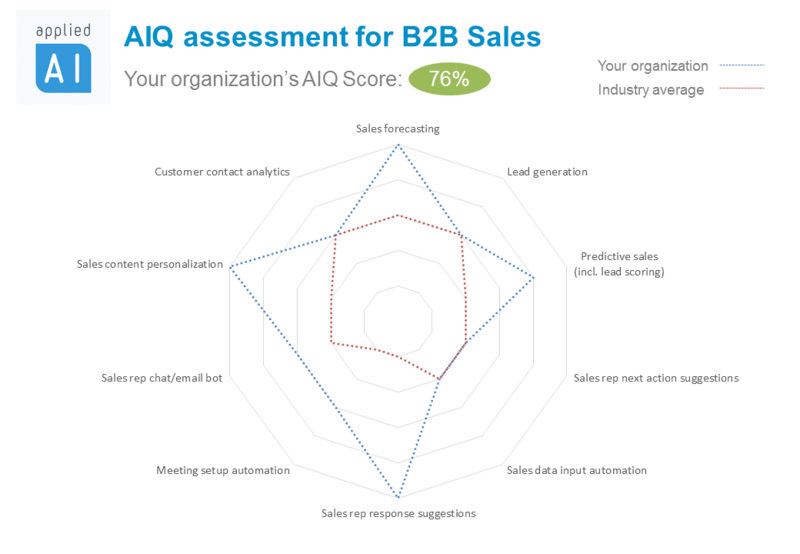 With the data, their intelligent solutions provide sales reps relevant leads with high opportunity. 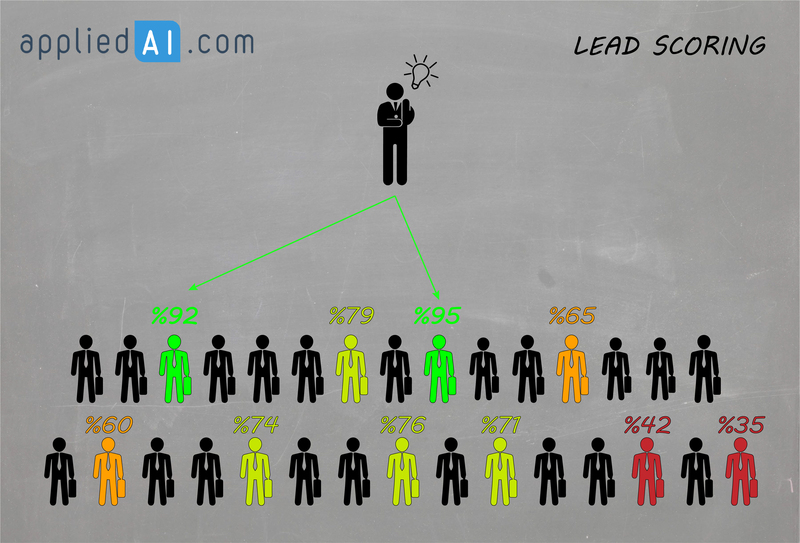 After determine the leads, to learn how select the one with the highest possibility, see the lead scoring article. 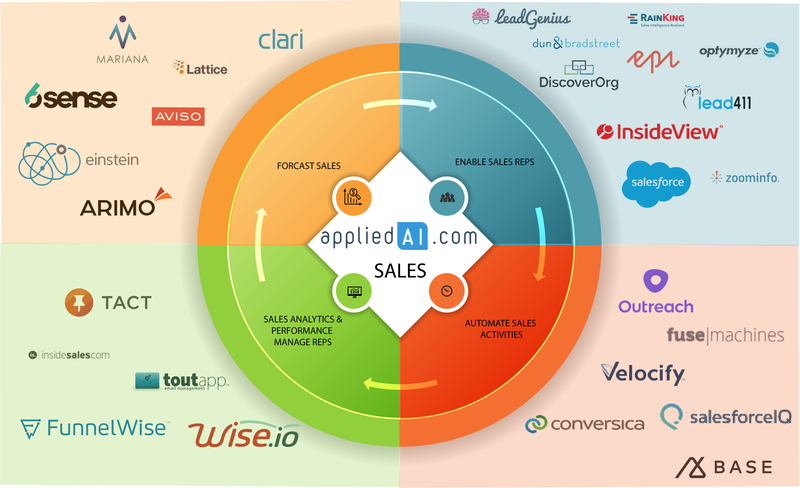 Check out our overview of AI application areas in sales to identify other AI use cases in sales.